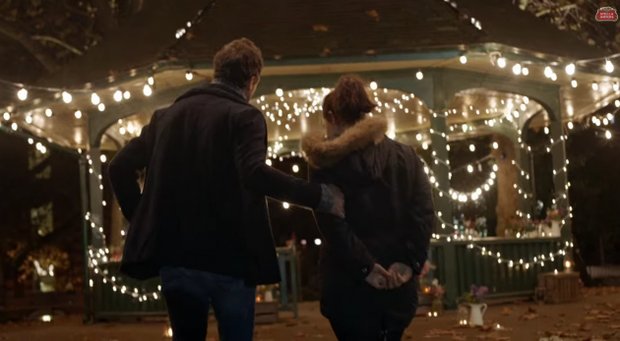 Tipperary man Brendan Kenny spent four months planning an elaborate surprise for his fiancée Maeve O’Hara, and Stella Artois has captured the results in a beautiful two minute advertisement. 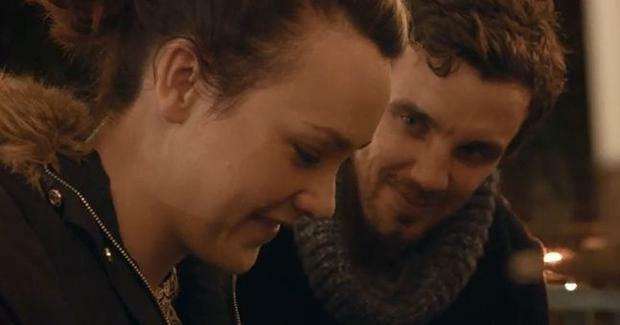 Brendan and Maeve, who have been together exactly four years tomorrow, are the subject of one of Stella Artois’ festive “Give Beautifully” campaign. Their story, ‘Piano’, makes up one of five seasonal television advertisements for the beer manufacturers and Independent.ie caught up with them to find out where it all began. Maeve (26) met Brendan (32) in An Pucan bar in Galway when Brendan was in town on a stag party. After applying for hundreds of jobs in the health and safety field, Maeve was forced to apply for work abroad and was delighted when she was offered a graduate scheme with Tube Lines (Transport for London) in October 2012. The Mayo native and Brendan kept up a long-distance relationship as they racked up their air miles and spent every second week flying to and from the UK. “We lived for the weekends and the airport was our second home,” Maeve says. Brendan, who had held a position as a teacher in Borrisoleigh, Co Tipperary for ten years, made the move to London full-time in July 2013. “It was a really hard decision but we both knew that it was too straining on both of us to keep flying over and back to see each other,” Maeve states. Settled and loving their adopted home, they are both happily working in “dream jobs” in their respective fields. But one thing was missing for Maeve, a passionate musician. “I had done my grade eight exam and put in five hours of practice a day and I was letting all of it go to waste, but with the size of our flat and the price of pianos I knew it wasn't realistic to get one.. it was a long term dream,” she says. Brendan, who now works as Head of Information, Communication and Technology at a private school, spent four months planning the romantic gesture with production company Mother London. He spotted the ad in an email newsletter and immediately pitched his idea to surprise Maeve with a piano. The producers at Mother London were captivated by the idea, and encouraged Brendan to keep the plan a surprise. "Stella provided the piano which was made in Prague and it is over one hundred years old, so it has its own stories already," Brendan explained to Independent.ie. “I had no idea what was going on, I was in complete shock and a bit anxious...When I got out of the taxi all I saw was cameras all around Brendan, I nearly died to be honest,” Maeve admits. At first she thought it was Brendan’s second take at asking her to marry him, as she recalls the original proposal “didn’t exactly go according to plan”. “I was looking for an mp3 player and I found this box in the drawer, I had a peak and I saw it was a proposal ring. I was in two minds whether to tell him or not and I eventually did two weeks later at the Ministry of Sound...He went to get down on his knees and I was like no no no please keep it for whatever you had planned,” she laughs. But with the help of some candles and wine on their anniversary, romantic Brendan still managed to pull out all the stops.